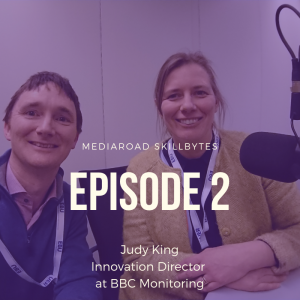 MediaRoad partners EBU and BBC present you a series of podcasts about the transformation of the media technology environment and what it means in terms of professional journeys: jobs, skills, recruitment, training etc. 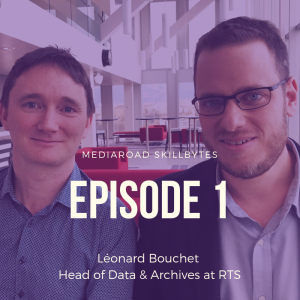 In a series of experts’ interviews, we will try to address the following question: which are the skills or combination of skills that technology professionals need for their media organisations to stay relevant and competitive in the global media market? These may be “hard skills” in IT-related technologies, “soft skills” like agility (the ability to scale up and down, succeed or fail fast) or transversality (the ability to work projects in a field where one is not an expert), as well as project-, change-, innovation- and people-management skills. In the audio podcasts, the interviewees will tell their own stories, share personal experiences and address the topics from a human and educational perspective. 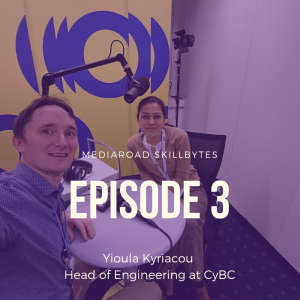 Our MediaRoad SkillBytes podcast is available on our website and you can access it as well on Anchor, Apple Podcasts, Breaker, Google Podcasts, Overcast, Pocket Casts, RadioPublic, and Spotify. Please stay tuned for our next episodes and make sure to contact us if you have a deeper interest in or questions about the topic we talk about!